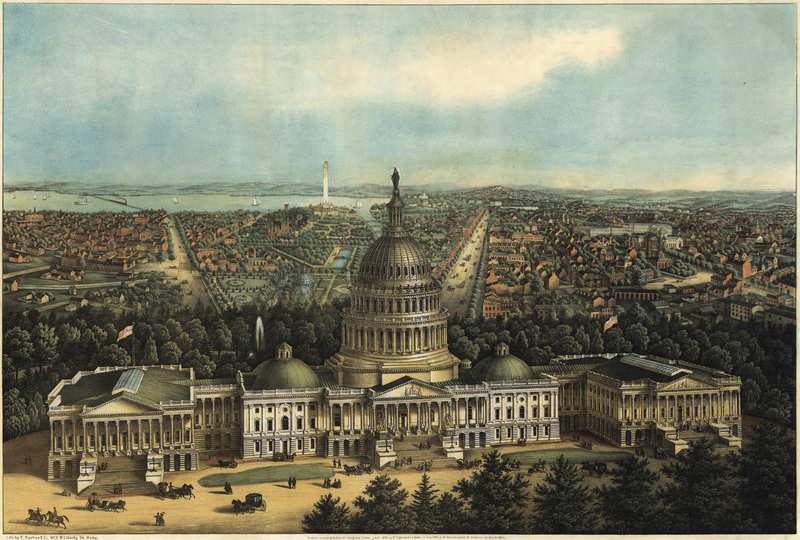 E. Sache's map of the Capitol, in Washington D.C., in 1871. View of the Capitol, Washington, D.C. 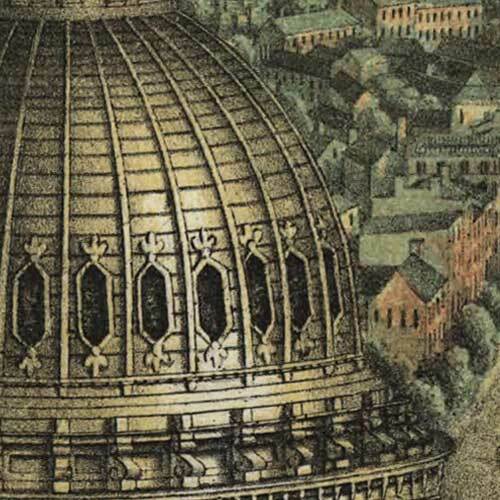 Author: E. Sache and Co.
Sasche's birdseye map of United States Capitol [gmap] in 1871. For more maps and images from this period in the region's history, visit the Historical Society of Washington D.C.. Cool. I’ve got this one hanging on the wall. Was once distributed as a gift by Government Services S&L in Bethesda, MD, later Chevy Chase Bank, now Capital One. It’s pretty amazingly done, that’s for sure.